I can’t seem to remember my own own wedding anniversary, so it is no surprise that I missed the TWO year anniversary of my blog. Yep, I’ve been writing this blog since December 27, 2012. In celebration, I thought it would be fun to reveal this year’s top ten posts. How convenient for advertising purposes that SEW FUN landed in the top ten? 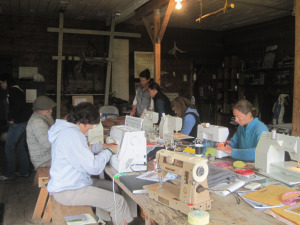 It gives me a chance to say HEY come stitch with me in the woods of McCarthy, Alaska at the Wrangell Mountains Center. This year’s three day nonstop sew-a-thon is scheduled for July 24, 25, and 26–Cocktails are included! I love this post. I suppose it has something to do with the fact that I was so beaten down by my obligations that I was willing to be pretty candid about how unrealistic I am when it comes to deadlines. It’s pretty good laugh–especially if you aren’t in the middle of it. This is fun. 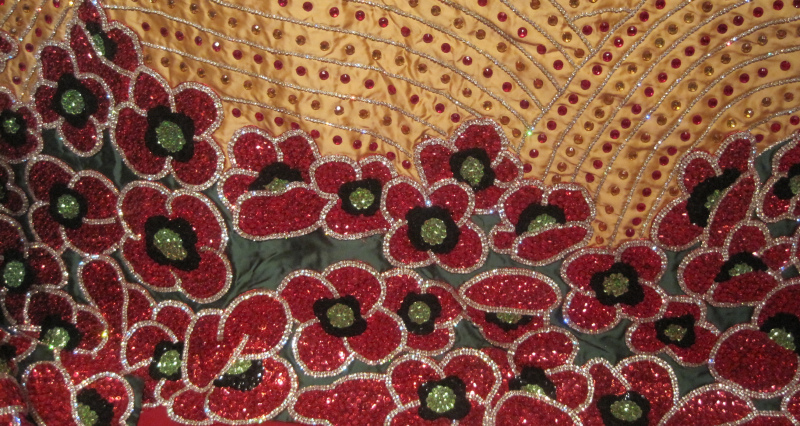 The Fiesta Gowns of San Antonio are debutante dresses aka rhinestone extravaganzas that families spend thousands of dollars on, but the money only amounts to something near minimum wage for the master stitchers who make them. From my sleuthing, it appears that my blog was a hot topic at a San Antonio childcare co-op. This goes to say, that when you put it out there–you’ve got no idea where it is going to land. 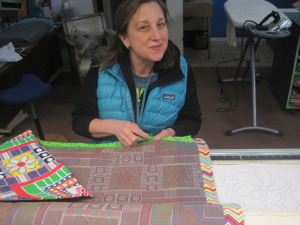 In preparation for the two solo shows I had in February CUT-STITCH-PRESS at the Bunnell Street Arts Center and the Art of the Grid at the Wiseman Gallery in Grants Pass, Oregon, I spent the month of January in overdrive. 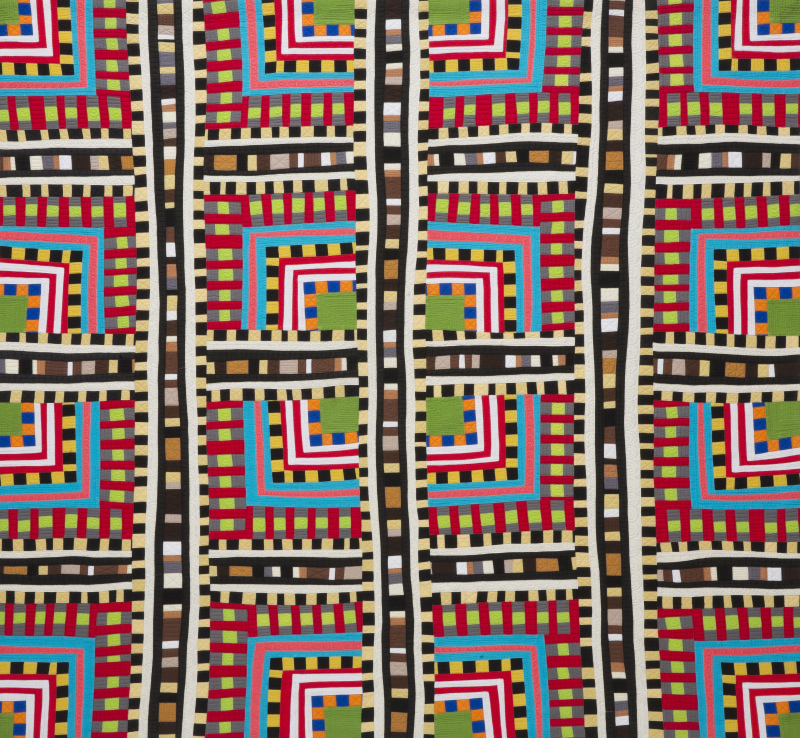 TRIBE is the story of one of the quilts I was working on during that time period. This posts recaps the mania of completing work for two solo shows AND walking three original designs down the runway for Object Runway–all during the month of January. I think this might be my favorite post of the year. It’s just all so ridiculous. 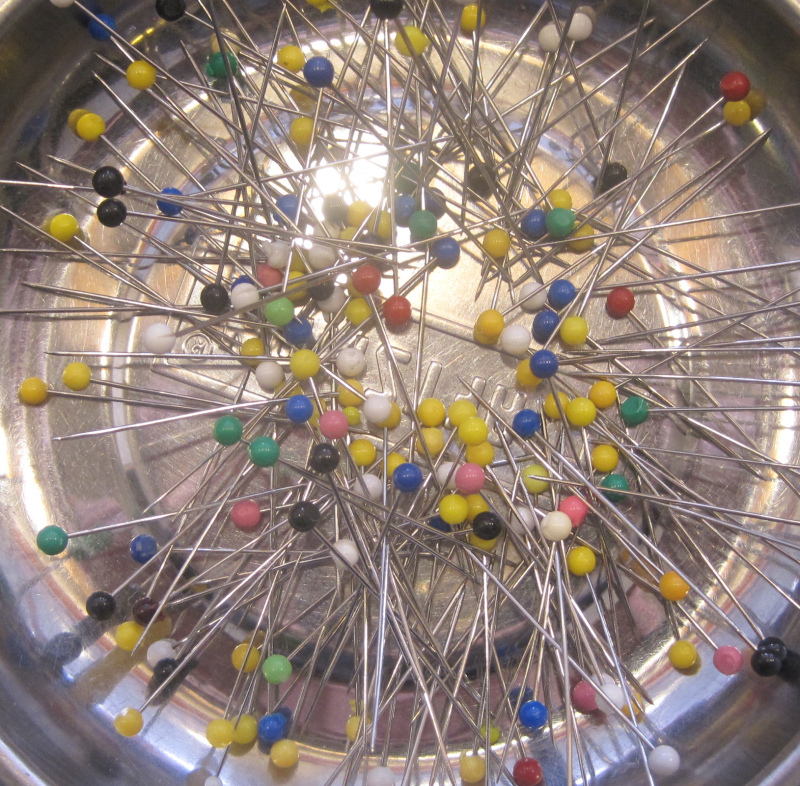 The Rasmuson Foundation launched a new artist in residency program this year. Four artists from Alaska traveled outside to four different residencies in the lower forty-eight, while four outside artists traveled up here. 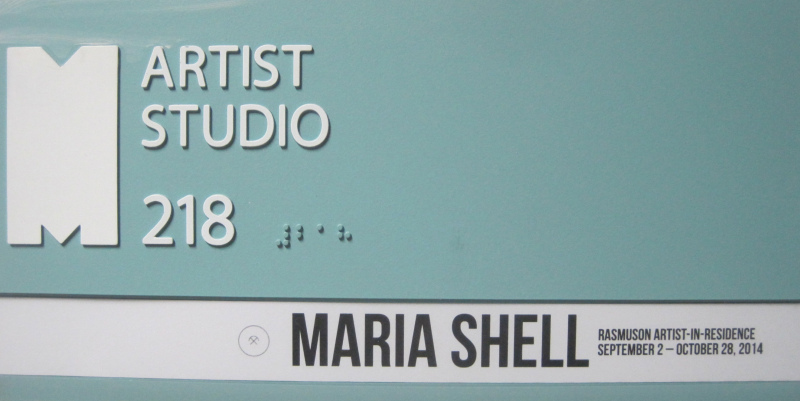 I was a lucky recipient of one of those residencies and spent two months this fall at the McColl Center for Art + Innovation. This post is about the beginning of that adventure. It turns out that I wrote TWO posts about TRIBE. The first one was about finishing the work for the solo shows in February. This post features the professional photographs my photographer Chris Arend took of TRIBE. The top ten list would not be complete without a post about the Barn. This one is about the quilts that came out of two intense (as always) weeks of study at the Barn. It features some very candid photos of me trying to psyche myself up to give a presentation. If you have been to the Barn, you will feel my pain. I know this post’s popularity is directly related to the popularity of the number one post. Still, it’s a good tutorial in its own right. If you want to make ALL machine bindings that look good, this is the post for you. This is the number ONE post for two years running. 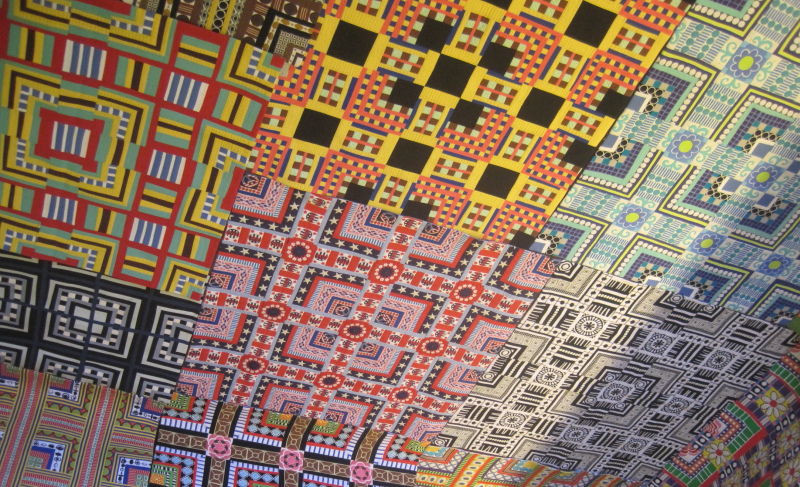 I fantasize that I will be know as an artist who helped elevated stitched patchwork into the realm of fine art. 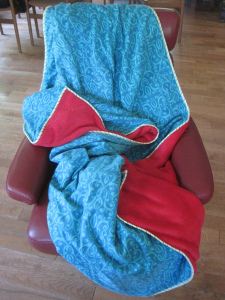 The reality is that I will probably go down in history as the woman who perfected the no-quilt fleece flannel blanket. And that is OKAY. Fleece flannel blankets bring a lot of love and joy into the world, and that is a very good thing. That’s the top ten for this year.. Next year, I plan to write more tutorials and more thoughts and opinions. My time was tight this year, and many of my blogs were just– Look at me. See what I did? I hope for less of that and more of –let me show you how I did that. Let me share how you can too. Through writing this post, I have discovered the best way to search for past entries on my blog is to go to my ABOUT or CONTACT page. There you can search for individual entries by subject or month. I know it would be nice to have that feature on my home page, but the WordPress template I use doesn’t allow for it. While I am contemplating changing things up, I am still very attached to this template. I hope you enjoyed this little trip down memory lane with me. I’d love to hear what your favorite types of posts are. Or if you have a top post from your blog that you’d like to share, please do. If I could, I would cue up some Parliament right now. Happy New Year’s folks. You have the power within yourselves to make and do good things. And thank you, thank you for coming along for the ride. 31 Dec	This entry was published on December 31, 2014 at 7:38 PM. It’s filed under News And Events and tagged Bunnell Street Arts Center, Color Grids, Fleece Flannel Blanket, Happy Anniversary, Studio Charlotte The Rasmuson Foundation, Top Ten Posts, Wrangell Mountains Center. Bookmark the permalink. Follow any comments here with the RSS feed for this post. Maria! I don’t believe there is any artist in any medium who has accomplished what you have this past year. Really amazing. And, to keep up your blog, all your volunteer work with the Wrangell Mountains Center, your teaching, family…Oh, my. Is it all passion drive and hard work or do you have some secret elixir that gives you superwoman energy? So many beautiful pieces of your work; they are just exquisite. Looking forward to the creative results of your 2015 accomplishments. Happy, happy new year!! Thank you dear Lila. I hope your New Year is off to a good start–maybe everyone turn in all their receipts in a timely fashion this year! All I can say is: Keep up the good work. I have enjoyed every minute of your blog and getting to know you and the boys a bit. Happy New Year. May yours be healthy and creative as you spread the word about quilting and Alaska. The same to you Aunt Carole! Thank you for being such a good reader/supporter. It means ALOT to me. 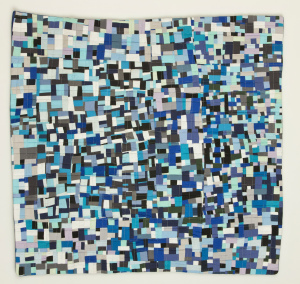 I always feel so rich when I open your blog and discover there are several I haven’t yet read — and I’m fine with “look at me” vs “this is how to do this.” You are a great example of an active quilt artist, and I feel enriched by reading about your life. Don’t get me wrong, the tutorials are great, and I wouldn’t say no to more of that. I just want you to be clear that whatever you are blogging is a GIFT! Thank you, thank you, thank you! Sandy, Those words are some of the nicest words EVER. It’s means a lot to me that you took the time to write. Thank you so much for reading my blog and for you support. It keeps me going. Thank you!